There are a lot of vantage points around Sydney Harbour that provide amazing views of the Opera House, the Harbour Bridge and the surrounding area. The problem however is that there is also a lot of... us. 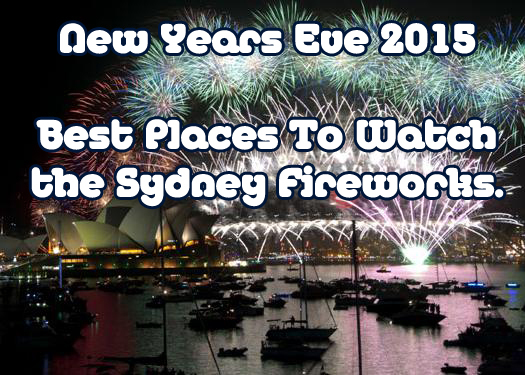 Finding the best places to watch the Sydney fireworks and celebrate New Years Eve therefore is not so much about knowing where geographically one should go - anyone can do that with a smartphone and Google Maps these days, but rather knowing from experience. Information is power after all right? or was that "With great power comes great... oh no, that was Spiderman. Is the place so popular with others that I need to arrive 4 weeks* in advance in order to secure a spot? *Arriving up to 12 hours early in order to secure a decent spot and then waiting will feel like 4 weeks. Trust me! Are the road closures so bad I need to look into hiring a camel to transport me, the kids and 37 eskies from the car to the vantage spot? Is the area policed so as to keep drunken peanuts and loud mouthed pelicans from ruining the festivities? 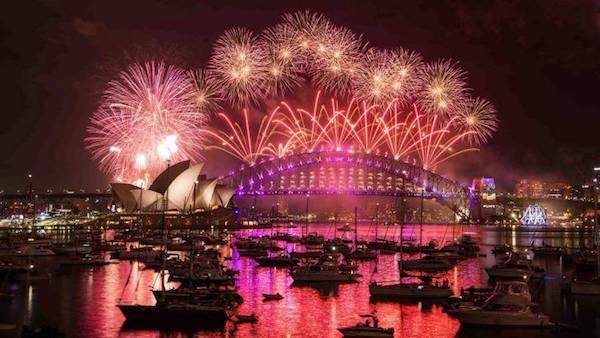 5 Places In Sydney You Can ACTUALLY Watch the New Years Eve Fireworks From. This is the painful truth and although this advise is totally useless to someone who doesn't have access to a house with views of the harbour it is still one of the most practical places to watch the Sydney fireworks from and therefore has to make the list. It comes last because well, it's a house! Nothing beats being right there in the heart of the action and as nice as an apartment or home is, it's akin to watching footy on TV versus being at ANZ Stadium itself! You know what? Stuff the house, try one of these next 4 vantage points on for size. 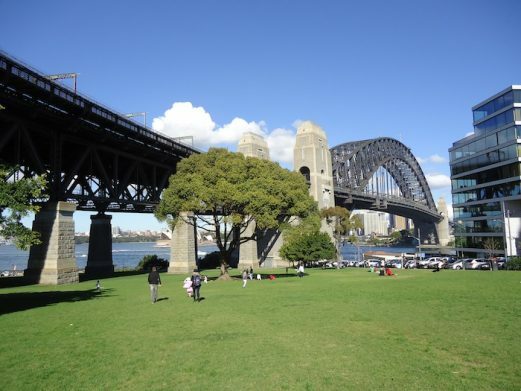 Located on the Northern side of the harbour, Bradfield park is the grass area directly under and to the east of the harbour bridge. Making the list for being practical and family friendly (and NOT for being unknown and discrete!) 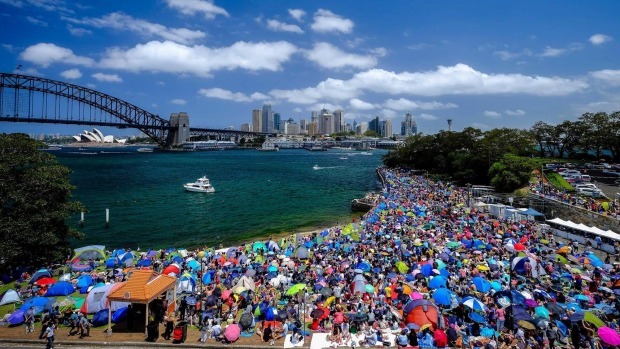 this is the perfect place to watch the Sydney fireworks from as it is only a 15 minute (flat) walk from Milsons Point train station. Enforced with a strict no glass policy it may become (extremely) crowded but because of its open space and the large parkland area it affords even the late comers a place to enjoy the fireworks. What I like most about Bradfield Park is the open layout and massive park area. What I don't like is that the view from the western side of the bridge obscures the opera house (as pictured) but being this close to the action more than makes up for it. I have spent many a new years sprawled out with the family (and a million others I might add) down at Blues point reserve and although it is one of the most popular spots and therefore most crowded, it does meet the criteria for being practical and family friendly. Access is from North Sydney Train Station with the roads being cut off from that point all the way down Blues Point Rd to the Reserve itself. 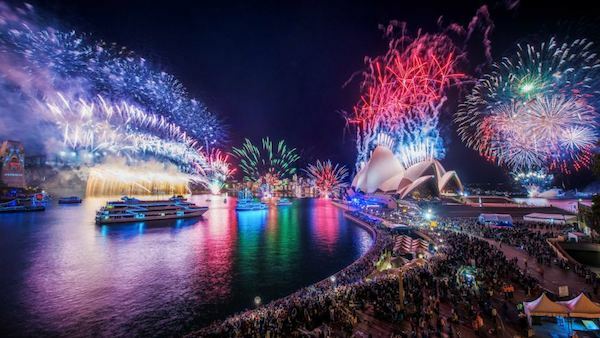 It is about 15 minutes walk with kids and eskies in tow and is policed with a no glass rule making it truly a family friendly place to watch the Sydney fireworks. What I like most about McMahons Point as a vantage point is that even if you arrive with 10 minutes to spare there is still more than enough standing room and open space to enjoy the show without feeling like a sardine. Unlike the first one on our list, a boat is something that IS accessible to everyone. 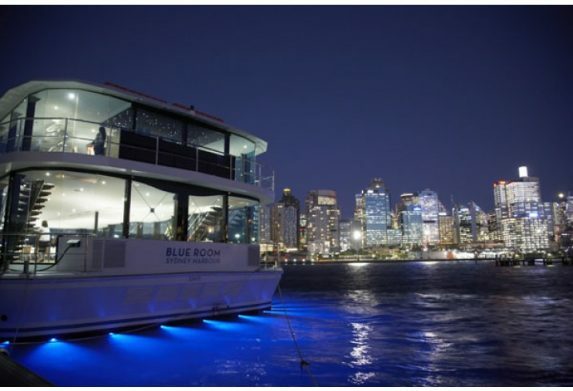 Of course there are those lucky few who already own their own and have made plans to anchor her in Sydney Harbour on New Years Eve, but for the rest of us is there is a wonderful thing called boat charter. 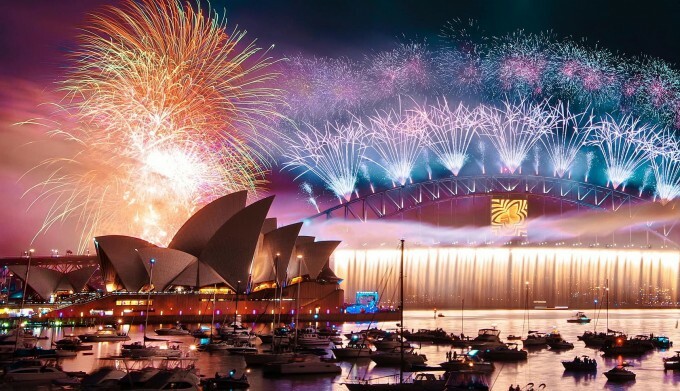 It's car hire for the nautically inclined basically and what it does is provide us with the most practical place to watch the Sydney fireworks from. The fact it also gives you front row seats and uninterrupted views whilst sticking you smack bang in the middle of the action is just a bonus really. Whether there is 8 in your party or 40 you can charter a private boat for New Years Eve and enjoy a night you and your friends won't soon forget. Ticketed New Years Eve Cruises. Ticketed New Years Eve cruises provide you with all the practicalities of the private boat charter option except you share the experience with up to 400 others! This is actually a more popular option with many groups and individuals because not only does it provide them with the amazing view and front row seats to the show, it also allows them to mingle with others and meet new people. *Have you SEEN how much a drink is in Sydney these days?... "I'll have 3 schooners, a cider, and a jug of iced water" - sure, that'll be $418 and yourfirst born. Wait. What?! With easy access [from the wharf], uninterrupted views of the fireworks, and a position that puts you in the middle of the action so you experience the true atmosphere of a Sydney New Years Eve, ticketed cruises are without doubt the most practical and best place to watch the Sydney fireworks.